What is the Environmental Audit Committee? Every now and then, you are likely to see news stories stating how MPs have grilled members of a particular industry on an environmental topic. Sometimes, the group doing the grilling is identified as the Environmental Audit Committee (EAC). But what actually is the EAC, and what can it do? The EAC is a cross-party group of MPs elected by the House of Commons to monitor the environmental impact of all government departments. The formation of such a committee was part of the Labour Party’s 1997 manifesto, and it was established following the party’s election that year. It’s one of 117 select committees, which are usually involved in monitoring the finances, administration and policies of an individual governmental department. The EAC differs from the majority of governmental select committees in that it acts across all departments and can also ask the National Audit Office (NAO) to look into certain matters for it, which most select committees can’t. The purpose of the EAC is to monitor the contribution of various governmental policies, and those of non-departmental public bodies, towards ‘environmental protection and sustainable development’. The committee is also required to audit progress towards environmental and sustainability targets. It fulfils its duties by conducting inquiries where oral and written evidence is gathered on a particular issue. Outside specialists, such as academics, can be appointed to assist with inquiries. Once information has been gathered, a report is written summarising the committee’s findings and recommendations. This is presented to Parliament and published online. The subjects for EAC inquiry normally come from individual members, but ideas can also be put forward by the committee secretariat. Potential inquiry topics are then discussed by the committee, which has to agree as a whole, although not necessarily unanimously, to initiate an inquiry. There are 16 members in the current committee, which was appointed in July 2015. It currently consists of five Labour MPs, including the new chair Mary Creagh, nine Conservatives, one member of the Scottish Nationalist Party (SNP) and one Green Party member. Notable names on the committee list include former Green Party leader Caroline Lucas, Conservative MP and unsuccessful candidate for this year’s London mayoral elections Zac Goldsmith, as well as Conservative MP Rory Stewart, Parliamentary undersecretary for the Department for Environment, Food & Rural Affairs (Defra). 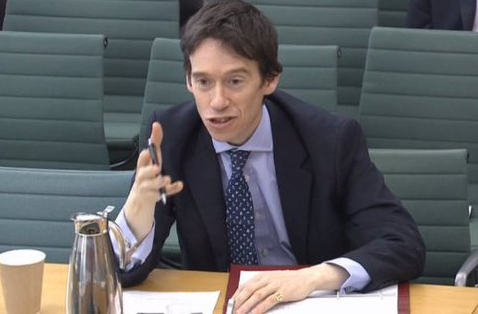 Although Rory Stewart is officially a member, he’s technically ex-officio, which means he’s only a member as a formality due to his status as Resource Minister. He does not attend committee meetings or receive papers from the committee. Subjects of recent inquiries carried out by the EAC have included the EU’s effect on UK environmental policies, intended to inform the pre-referendum debate on whether the UK should remain a member of the EU, which found the EU has been a ‘crucial factor’ for shaping UK policies. It has also convened an inquiry to assess the impact of microplastics, tiny fragments of plastic that are not caught by water filtration systems or that form from the breakdown of larger bits of plastics, on the environment. As part of the investigation, the scale of the microplastics problem was assessed along with current knowledge of the risks and possible strategies for countering the issue. This led to Creagh claiming that that microbeads could be banned if cosmetic companies did not make a move to reduce their use. Previous topics investigated by the EAC include the future of the Green Investment Bank (which it called ‘rushed’), how the UK can grow a circular economy (including by banning food waste to landfill), the 5p carrier bag charge in England (‘unnecessarily complicated’), and English preparations to mitigate climate change. Some of the investigations currently underway are focusing on the sustainability of HM Treasury, the Department for Transport and the government in general. The main purpose of the committee is to present the findings of its inquiry to the house so the government can make an informed decision on a particular issue. It does not have any power to push its recommendations through Parliament, although it can decide to put pressure on the government if it feels strongly enough about an issue. It does have the power to summon witnesses for inquiry and individuals who refuse to do so are considered to be in contempt of the House of Commons. The EAC can also request governmental papers, although in this case the government is not required to comply but usually cooperates. The Environmental, Food and Rural Affairs (EFRA) committee carries out similar inquiries but is limited to ‘expenditure, administration and policy’ of a single department, Defra. Smaller break-away sub-committees can also be formed, which may occur if some members are particularly interested in a particular subject. They require the permission of the main committee and must report back to the committee prior to findings being published. There is also an Energy and Climate Change Committee which carries out the same role within the Department of Energy & Climate Change (DECC). 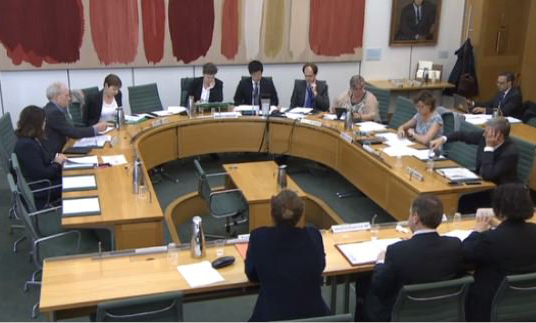 Current information on the Environmental Audit Committee and its inquiries can be found on the Parliament website. The UK’s membership of the EU has been a ‘crucial factor’ in the shaping of its environmental policy, an Environmental Audit Committee inquiry has found. The privatisation of the Green Investment Bank GIB has been ‘rushed’ and should not go ahead unless the government can guarantee that it will stick to its original mandate, says the Environmental Audit Committee. Defra has made a ‘complete mess’ of England’s proposed plastic bag charge plan, says Environmental Audit Committee.